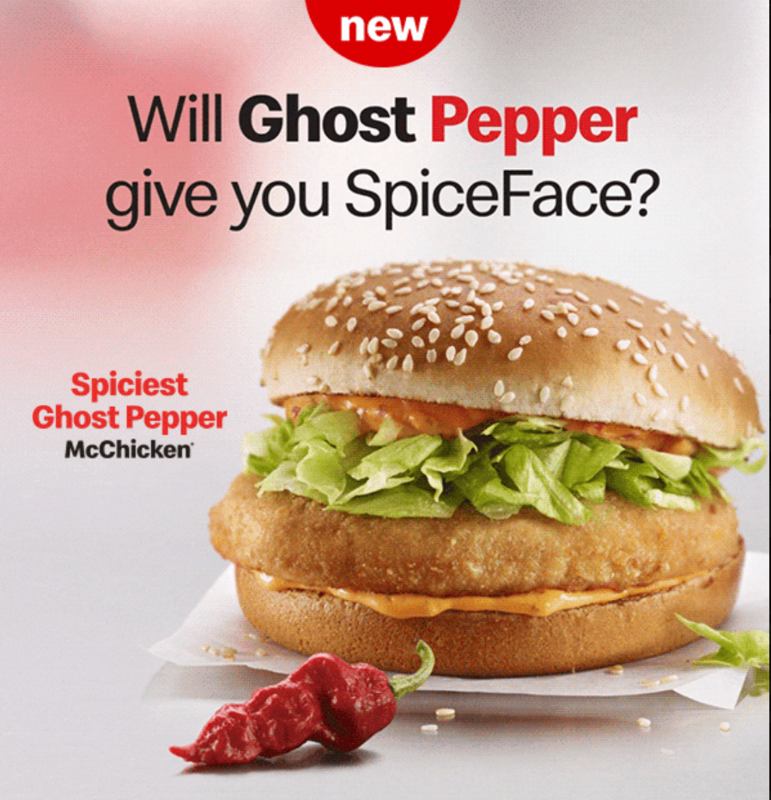 Get your hands on McDonald’s Canada’s Spiciest Ghost Pepper McChicken sandwich before it’s gone. It’s not for the faint of heart! Can you beat this fiery heat? Available until March 11 2019. And for a limted time only, buy any Spicy McChicken® sandwich using MyMcD’s app and get a small Triple Milkshake for FREE. McDonald’s McCafé also has a coffee promotion going on across the country. Enjoy any size hot premium roast coffee for just $1. This promo is valid until March 3 2019 at participating locations. And now, earn with McCafé Mobile Rewards on the MyMcD’s® app. Buy 7 hot beverages and your 8th medium hot beverage is always FREE!